Apple has shown with the iPhone 6 that it’s not their problem to follow the trends that others have imposed on them. Although, many consider this model as a defeat of Apple, the same practice is continued as it’s sold more than the previous one. Although, we have seen the iPhone 5c, a sub version of the iPhone 6, the Apple iPhone 6 is quite different. “Ordinary” version, i.e. 4.7-inch iPhone 6 is a lot more popular than its larger brother iPhone 6 Plus. This iPhone 6 review and iPhone 6 specification are necessary things for collecting the right info before the purchase. The iPhone 6 came out with iOS 8 and it can also be up gradable to the iOS 11.3 and had Apple A8 chipset. It was armed with Dual-core 1.4 GHz Typhoon which was ARM v8-based, a non-expandable 16/32/64/128 GB internal memory, and 1 GB RAM with DDR3. Apple attached a 4.7 inch LED backlit IPS LCD touchscreen on the iPhone 6 with 16M colours. The screen was capable of 750 x 1334 pixels and is made of Ion-strengthened glass with oleo phobic coating. It has two cameras – front and rear. The front camera was able to capture 1.2MP images and 720 pixel videos at 30fps. It featured HDR, face detection, and FaceTime over Wi-Fi/Cellular network. The rear camera was at 8 MP with face detection autofocus and dual-LED dual-tone flash. The rear camera also had face and smile detection, Touch focus, HDR type of photo/panorama and geo-tagging. 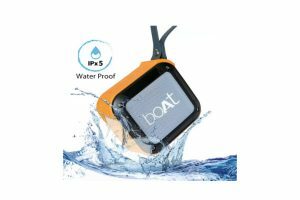 The battery was a non removable battery which having Li Po 1810mAh and that can last for 14 hours talk time on 3G networks and up to 50 hours of music plays time. 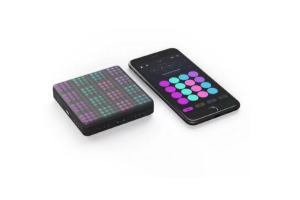 The other features included be default were Fingerprint (front-mounted), barometer, accelerometer, iMessage, gyro, proximity, compass, SMS service in threaded view, Push E-mail, MMS, HTML5 (Safari), MP3/MP4/WAV/AAX+/AIFF/Apple Lossless player, Email, Audio/video/photo editor, and Document editor. The Apple iPhone 6 was first released as a new flagship device but, it had plenty of hardware issues like “Bendgate” and “Touch Disease” and so it was moved to the midrange by September of 2015. A number of users also reported a lot of issues with the software of the device and also reported “error 53” and the camera had some issues with the image stabilization program. Some users also reported that the front camera moved out of place. You think with all that iPhone 6 was a fail? Think again. With the improved design and performance from the 5 series to the 6, critics gave it positive reviews and it sold 220 million units during its lifetime making it a best seller among iPhones before production was discontinued with the release of the iPhone 6S and 6S Plus. 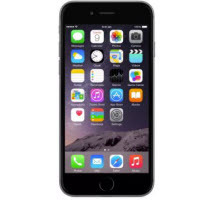 The current online Apple iPhone 6 price in India is Rs. 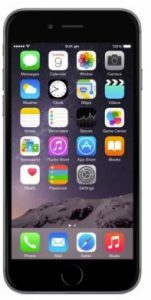 25,199 (32GB) on iPhone 6 Flipkart and iPhone 6 Amazon online mobile purchase options and sites for iPhone 6 purchase.